The Odyssey is the original journey tale, a genre that has lasted three thousand years, and has had a lasting influence on on literature and art. 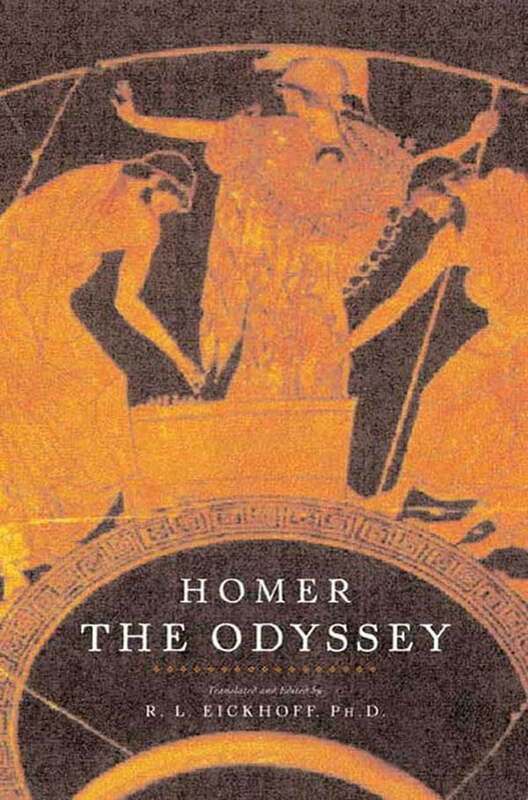 The trials of Odysseus were first told by the great bard Homer. For ten long years the Greeks and Trojans have fought on the plains of Troy, and now Odysseus, the King of Ithaca, and the other victorious Greeks are ready to sail home. But after offending the sea god, Poseidon, Odysseus is hurled into years of wandering the seas, encountering monsters and sirens, raging storms and seductive idylls, before he is able to return to his wife, his son and his homeland. This masterpiece keeps its appeal not only because it reflects a glorious time of heroes and wonders, but because it is a work that still speaks to the lives we live today. Forge book is proud to present The Odyssey in Dr. Eickhoff's compelling and authoritative new translation.